Tayetta Currin was driving the GoldLine on a cold and snowy Christmas Eve day in 2017 when she saw a woman walking near the street who looked like she needed help. Tayetta pulled over and opened the door. Tayetta quickly got out of her seat and helped the woman get on the bus. With the help of two kind passengers, Tayetta got the woman to a seat and called for an ambulance. As they waited for help, Tayetta - a mother herself - comforted the woman. The woman said she was seven months pregnant, but besides that was not able to talk much through all the pain. The Wauwatosa Fire Department quickly arrived and took the woman to a nearby hospital. 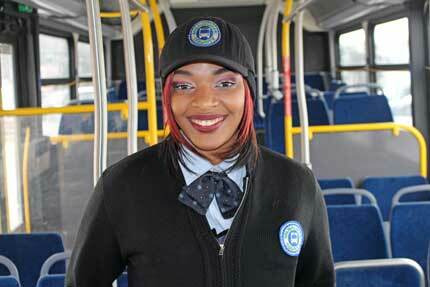 A safe ending thanks to Tayetta's kindness, quick action and MCTS Excellence.